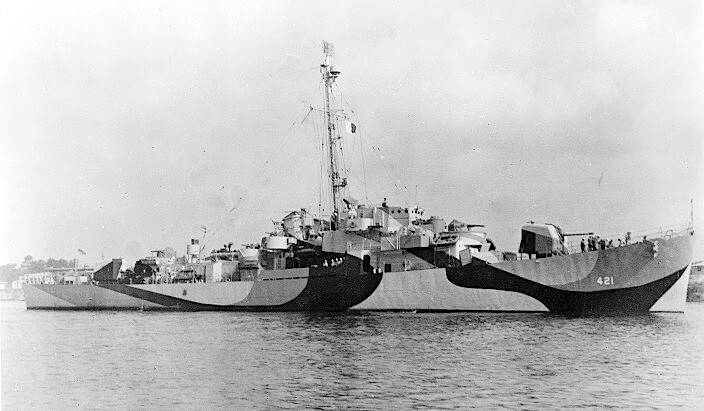 A starboard bow view of USS Chester T. O'Brien (DE-421) near Houston, Texas painted in camouflage 32/14D on July 6, 1944. 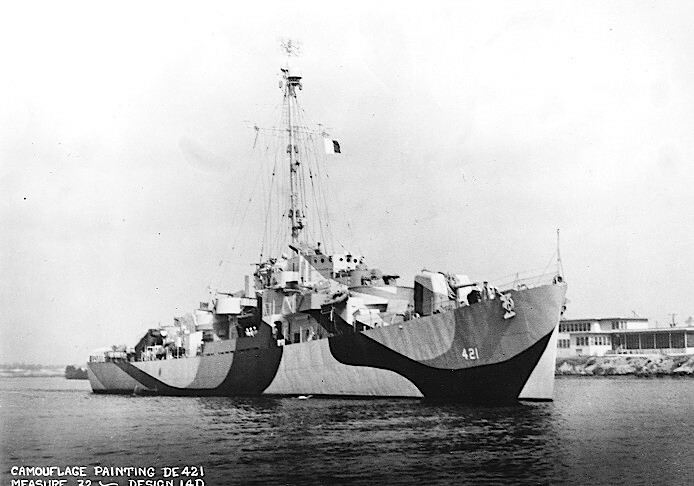 Chester T. O'Brien was commissioned three days earlier on July 3, 1944. Photo source: NARA BS 132137. 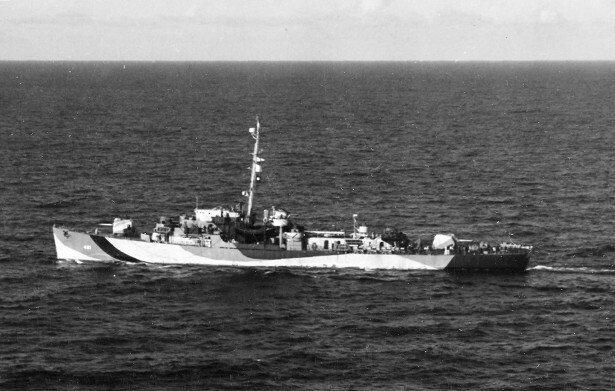 Chester T. O'Brien from the port side near Houston on July 6, 1944. Photo source: NARA BS 132138. Chester T. O'Brien is seen again from the starboard bow at Houston wearing 32/14D on July 6, 1944. Photo source: NARA BS 132139. 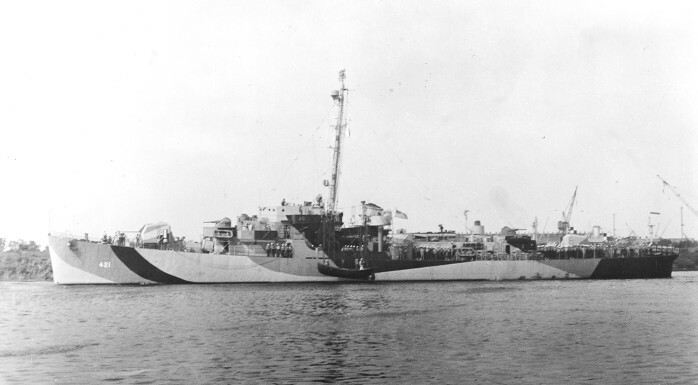 USS Chester T. O'Brien (DE-421) photographed by ZP-11 outside of New York on August 27, 1944, probably during shakedown. Photo source: NARA BS 80-G-245440.